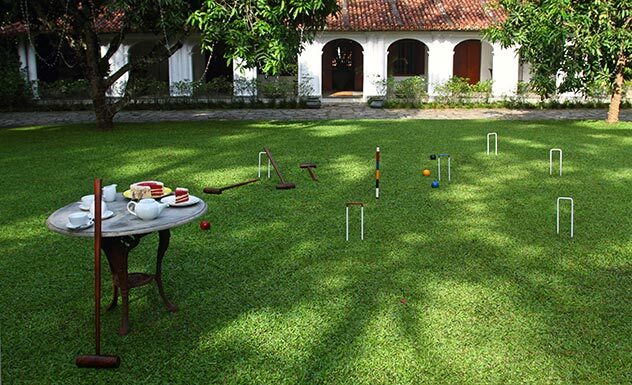 The grand ancestral home of one of Kandy’s most influential aristocratic families, the Kandy House sits on 6 acres in a quiet village area close to Kandy. 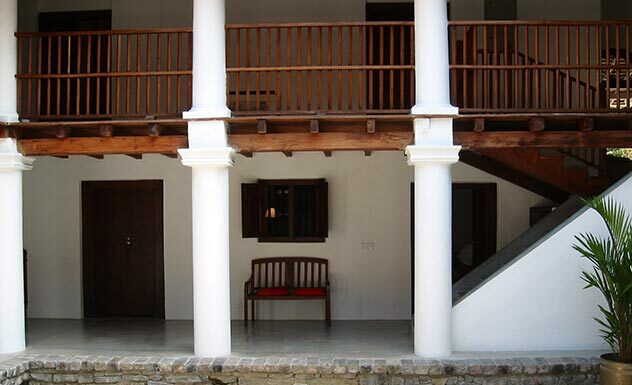 Originally built in 1805, the Kandy House was restored in a style that combines classical Kandyan period architecture with Dutch colonial furnishings and a soft, colorful and elegant finish. 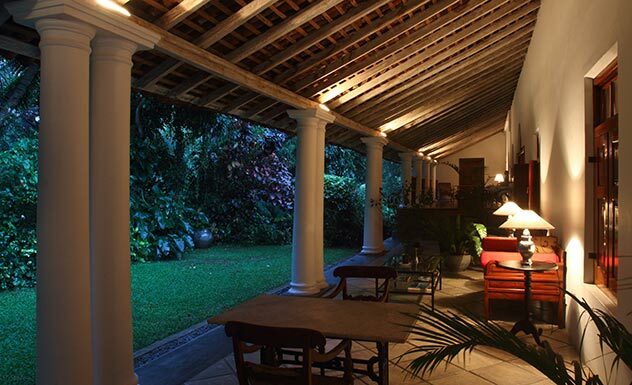 Large shady verandas, double-hammocks and tropical lawns encourage one to find a comfortable and quiet corner to relax or read. 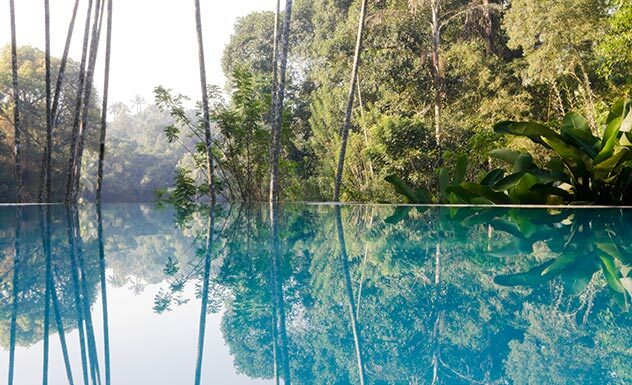 The ambalama overlooking the paddy fields is perfect for private dining, spa treatments and even yoga sessions. 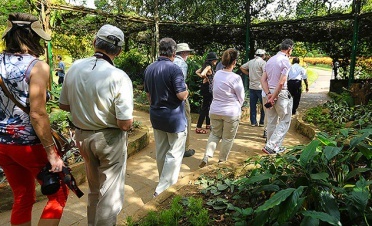 The Kandy House has 9 luxurious bedrooms categorized into Deluxe and Ultra Rooms, each individually designed and named after butterflies found in Sri Lanka. Located on the upper floor, Sunbeam is the sunniest room overlooking the infinity pool and has both a large bathtub and shower. This twin room is ideal for families with teenage children, adjoins the Black Rajah and has access to a double-swing hammock and outdoor veranda. It has two queen-sized beds, double-basins and a walk-in shower. This too is a twin room that looks onto a private garden. 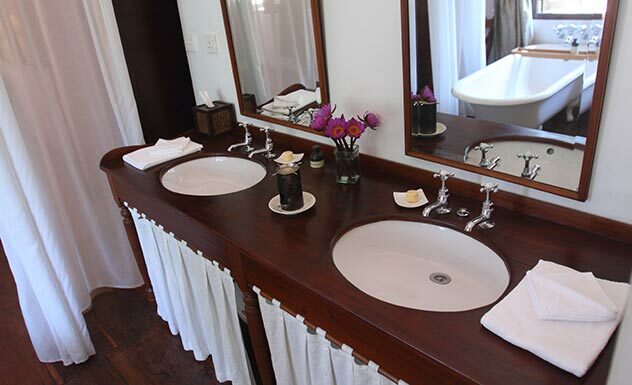 Furnished with antique furniture, two four-poster queen-sized beds and the ensuite bathroom exude a sense of regal luxury. 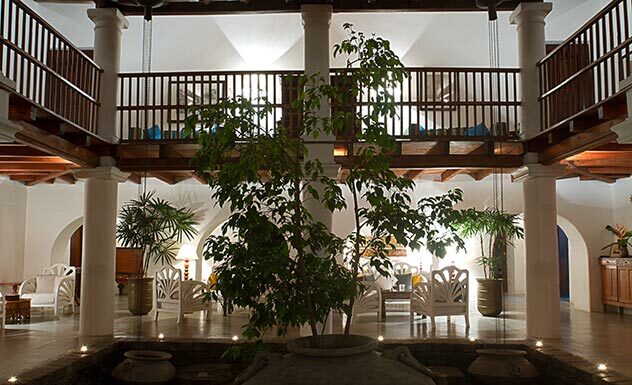 Overlooking the jungle, Cornelian is a double-room on the upper floor. 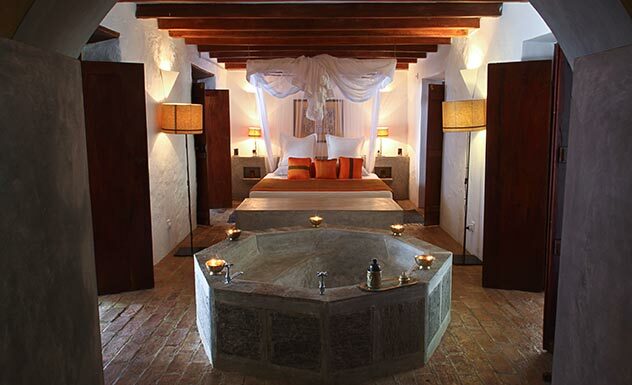 There’s a four-poster king-sized bed along with veranda access and an indulgent bathroom. This room can be accessed from the inner courtyard, and is found on the upper floor. Complete with all modern amenities as with all other rooms. 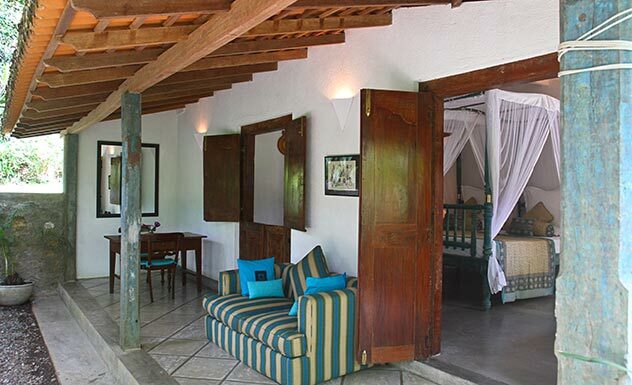 Overlooking the verdant paddy fields and infinity pool on one side and stone courtyard on the other, this beautiful period double-room has separate shower and a huge cast- iron bath, four-poster king-sized bed and silk drapes along with a private balcony. 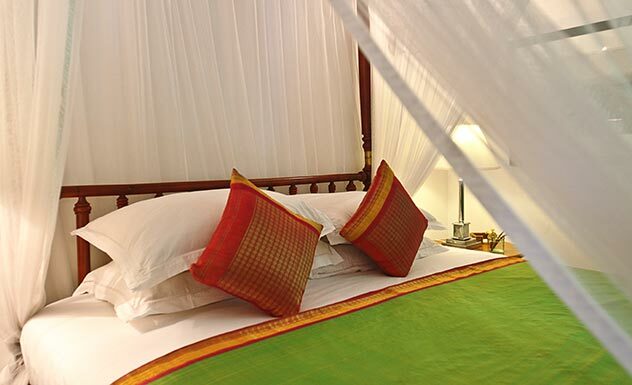 A spacious double-room, with an expansive wraparound veranda, antique chaise longue and four-poster king-sized bed. Bathroom features a separate shower and bathtub as well. This peaceful arched sleeping sanctum houses an octagonal 2-person bath and massage area, four-poster king-sized bed, outdoor veranda, antique furniture and a double swing-hammock carefully placed in a hidden garden. Families or groups can book this with its adjoining double bedroom, Monkey Puzzle. Enjoy the sumptuous four-poster king-sized bed, luxurious bathroom fitted with all amenities and antiques as well as private dining. 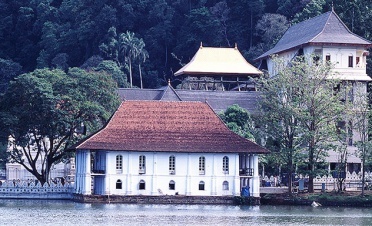 The menu is comprised of Oriental, Western and Sri Lankan specialties. Favorites include sugarcane prawns, jaggery-cured tuna, jackfruit seed gnocchi, chocolate-chili-cinnamon pudding and homemade durian ice cream. 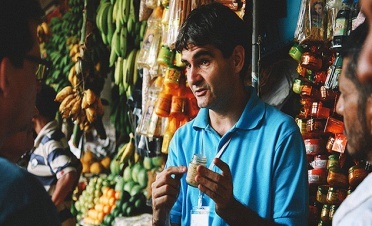 Everything is bought fresh from the local markets each day. 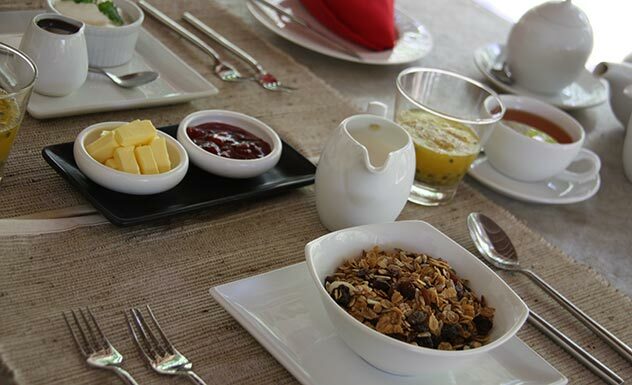 Breakfast and dinner is served on your own veranda or in the dining veranda overlooking the garden. Dinner is always preceded by cocktails at the Butterfly Bar on the courtyard. The hotel isn’t open to children under twelve.